The purported sting operation showed BJP candidate Sriramulu trying to facilitate a deal with a relative of then CJI Balakrishnan on behalf of the Reddys of Ballari. New Delhi: Eight years after then Chief Justice of India K.G. Balakrishnan delivered a judgment in favour of Ballari mining barons Reddys — the case is in the limelight again. In a purported 2010 video, released by Congress Thursday, Sriramulu is seen allegedly negotiating a Rs 160 crore deal between mining baron Janardhan Reddy and then Chief Justice of India K.G. Balakrishnan for a favourable verdict. In the video that has surfaced, Sriramulu, who is pitted against Karnataka chief minister Siddaramaiah in Badami for the Saturday elections, is shown discussing bribe deals with some middlemen, including Sreenijan, the son-in-law of Balakrishnan, in order to get a favourable judgment from the SC in the Obulapuram Mining Company (OMC) case. CJI Balakrishnan retired a day after delivering this order. Advocate Prashant Bhushan has tweeted that by 2015, the income tax department allegedly had all evidence proving that close relatives of Balakrishnan had disproportionate assets worth crores of rupees. “…We had filed sale deeds of >20 properties bought by them when he was CJI. Yet Modi govt didn’t prosecute him. Protected him because Bellary Reddys had paid 160Crs?” Bhushan tweeted Friday. On 10 May 2010, a bench comprising then CJI Balakrishnan and with then justices Deepak Verma and B.S. Chauhan had relaxed orders allowing the Reddy brothers to mine in “undisputed area which neither falls in the state of Karnataka nor would be abutting Karnataka boundary”. In 2010, Obulapuram Mining Company of the Reddy brothers, had challenged the order by Andhra Pradesh High Court suspending mining operations based on the proceedings of principal chief conservator of forests, Hyderabad and recommendations put forth by the Central Empowerment Committee (CEC). “To clarify further, we direct that mining operations, if at all are to be carried out by respondent No.1, then it shall be done only and only in the undisputed areas. If they try to encroach upon any other area, then it shall be open for the petitioners to forthwith stop the mining operations of respondent No.1,” the order had read. The Reddys had three mining leases consisting of 68.5 hectares, 25.98 hectares and 39.5 hectares respectively. At the time, one of the many issues that plagued the mining operations pertained to the demarcation of boundaries between Andhra Pradesh and Karnataka and the areas where OMC could mine. 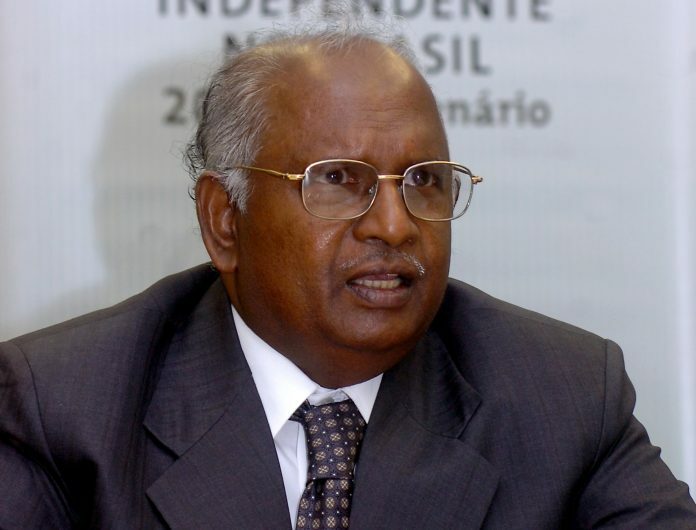 Andhra Pradesh, represented by then attorney general Goolam Vahanvati, had strenuously contended that unless recommendations of the final report of the committee are not implemented in letter and spirit, OMC should not be allowed to carry on mining of iron ore. If permission was given then mining operations would seriously affect demarcation and determination of boundaries between two states. Vahanvati had further contended that demarcation of the boundaries was likely to be completed within a period of three months, until which the interim order of status quo passed by this court, in earlier round of litigation, should be allowed to continue. However, OMC, represented by senior advocates K. Parasaran, P.P. Rao and Mukul Rohatgi, relied upon their international contracts for permission to continue mining. They had also contended that according to the final report by the Survey of India, OMC could not be blamed for it had neither encroached upon nor conducted any mining operations out of the leased area. OMC further assured the court that they would not carry out mining operations within 100-150 metres from the Karnataka border as has been shown in the base map filed by Survey of India. They further submitted that in order to safeguard the interest of Andhra Pradesh, they would erect a barbed wire fencing throughout Karnataka border with regard to those leases which are abutting Karnataka border 150 metres away from the same. In any case, they had added, they would not carry out any mining operations in those areas or other disputed areas until the final demarcation of boundaries is completed. The 10 May order was a temporary relief since the matter is still pending in the top court. However, now the case simply pertains to the demarcation of borders between Andhra and Karnataka. Since then, mining operations in the country have also undergone a major overhaul after a 2015 Supreme Court judgment that has capped mining to 25,000 tonnes from any district at one time.